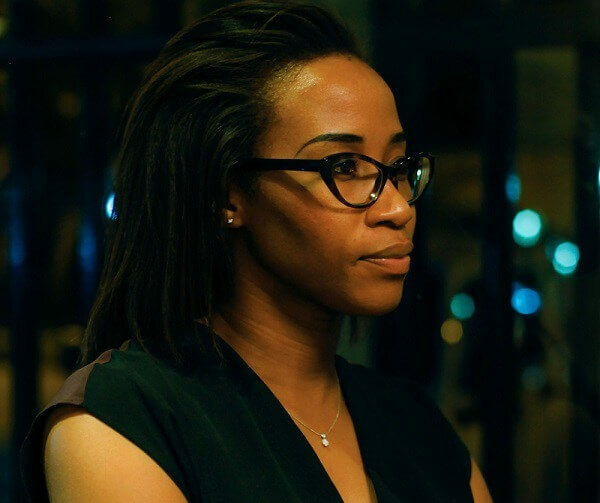 Tosin is a young architect and owner of cmDesign Atelier, an architecture design consultancy practice based in Lagos, executing notable projects in the city such as Maryland Mall, which opened in June 2016. 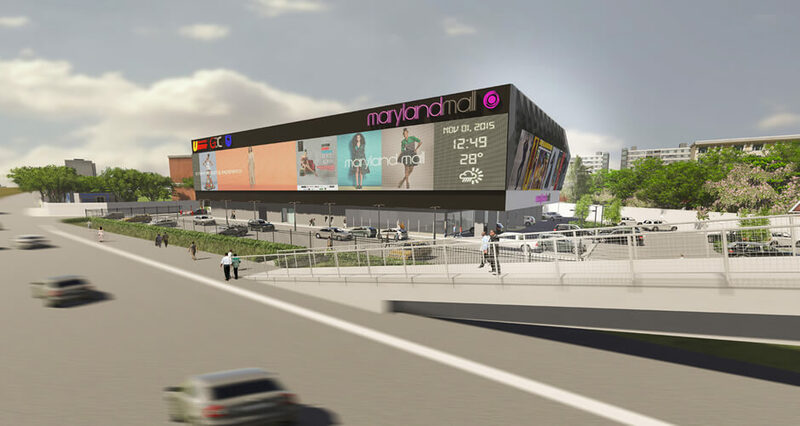 We first heard about Tosin’s architectural prowess when the Maryland Mall in Lagos was launched. Of course, we were super-pumped and knew we just had to meet and get all the glamorous and sometimes difficult details of being an Architect and a darn good one! For Creative Girls: We are so in awe of your architectural prowess! How did you decide on becoming an architect? Tosin Oshinowo: I think for me it had always been architecture. As a child, I drew a lot, and in secondary school, I was pretty decent at Technical Drawing. When I was about 12 years old, my father built a house in Ikorodu and I was the only one who took an active interest in it, so I used to go site with him. I didn’t realize at the time that he had actually used a drafts man, but I later understood it in school and in early years of practice. I’ve always had a good understanding of space and being able to appreciate light/materials and so it seemed like an obvious choice. I also have an uncle who is a famous Nigerian artist, Kolade Oshinowo at some point he encouraged me to go in a science direction of Art. Funny enough in my end of year school book, there were maybe 8 or 9 of us who did Technical Drawing and you know when you go to your Careers office and the Counsellors person said to study Architecture. I’m the only person who actually who went all the way through and finished in Architecture. Oh wow! That doesn’t happen often. Most people don’t end up doing what they wrote in their yearbook. Yes, that’s true. I remember during my A-Levels graduation, the headmaster mentioned that most people won’t end up practising what they studied. And it’s almost obvious as professions are evolving and melding into one another. Even in the field of Architecture a lot of things are changing. Traditionally, the Architect is at the head of the building industry, but that’s fast changing. Especially if the scale of the project is huge. Now, we have Project Managers, Developers who are now the custodians of finance. We have estates being built, people no longer want to build from the scratch, they want to purchase already built houses. So, the landscape is changing. And it’s only those who are willing to change and adapt to changing times that will thrive. You know, it’s actually CM Design atelier. The short form is CMD + A, and it’s really just a play on words. CMD is the command key on the Apple computer, I used a Mac when I was in school, so its an ode to many sleepless nights in front of my computer in school. D is for designs and Atelier means studio in French. So, it’s really just a cool play on words. Sometimes the simplest things can sound complicated. Lol. Getting the First Set of Clients. I wanted to make someone review and think about a building. We live in an urban fabric where everything has been created by someone. Nothing exists here without someone putting in an effort. We are so used to seeing buildings and having them in our environment without taking cognizance of the fact that it’s someone’s sweat. And I really wanted to make designs that people would see and discern that. My first proper client was Cafe Neo and they came to us with a logo, saying that they just got this farm that they bought in Rwanda and they were trying to create a retail outlet in Lagos and they had some branding information done, they had a logo and colour palette and the theme was supposed to be urban culture. We did the first one and it was very different, and there was nothing like this in the environment here. 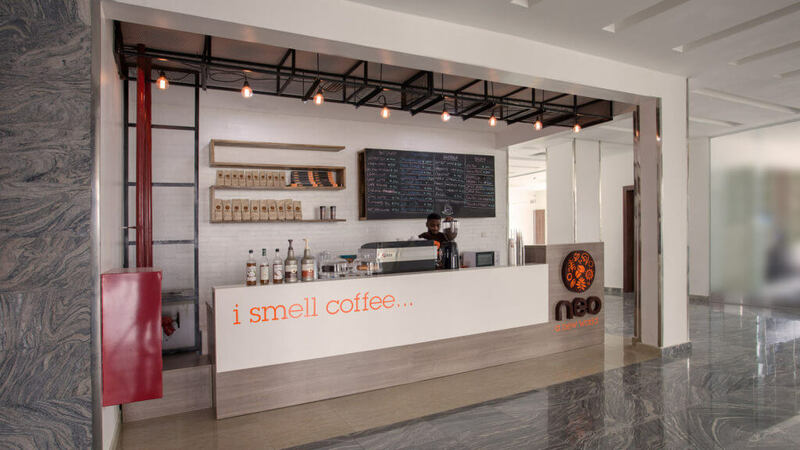 We got fantastic reviews and now we’ve done about 7 Cafe Neo outlets. Everyone is different. Some architects say that if you don’t draw every day, you are not an architect. Well, with Technology and medium changes everything is different. During my first degree we drew, but during my second degree, we were all using computers. I don’t really come from a school of doodlers because I didn’t develop myself by doodling. I do write a lot (no, not creative writing. lol), but I have a to-do list that I write out every day, I cross them out as I work. However, I sketch details. If I’m on site and I need to explain something to a contractor or to another consultant, I do have a lot of diagrammatic sketches but not pretty doodles. I use a moleskin, everyone in my office uses a moleskin. When I start, I start with the month, the day and then the year, it makes it easy for me to refer back to notes formerly made without stress or struggle. I’ve been doing this for probably 10 years. But, inspiration is from everything. You only see what you want to see. If someone wants to buy a red car, all of a sudden all they see are red cars. I’m constantly looking for architectural details anywhere I go, consciously or unconsciously, my eyes and mind are opened to see details. So, I take photos etc. And a lot of times without being aware, when you are working, these things that have pre-recorded in your subconscious come out and shine through your work. So, I guess I’m constantly keeping a library of information. That’s why it is important as an architect to experience other people’s spaces, go and see how other people design. As students, we were really encouraged to go and see buildings, just go walk in, look around and breathe in other spaces and artefacts. You can only create from experience, so it’s important to see how other people use space and create. I’m a firm believer in that. I mean, if you’ve never eaten a strawberry, you can’t dream and eat a strawberry in the dream. Your brain won’t let it happen. Creativity comes from experiences. The more you expose yourself, the better you are at being creative and that’s the beautiful thing about the internet, you can be in Lagos and be walking the streets of Barcelona on Google Earth. So, if you look you will find and if you are ambitious enough you will search. Reactions and experiences you’ve had because of being a female architect. Well, let’s be real, we are very sexist in Nigeria. So, you’ll always encounter people who are small minded and will address you in despicable manners. I think you also get this anywhere in the world. The important thing is not to walk around with a chip on your shoulder or feel victimised. You’ll be justifying when things don’t go in your favour and ascribing it to your gender. I come from a family of 3 girls. My dad has 3 daughters, so we were not raised with any form of gender-consciousness. We were raised knowing that you need to be able to sort yourself out, you need a good education to be able to stand on your own and not just go off to get married. But, I will say that from experience, people don’t expect much from you. So, when you deliver good they are surprised and I like it, its the advantage of being an underdog. When I do my job well, you will remember the small girl who does her job well. We like to understand how routines help productivity. Do you believe in routines? 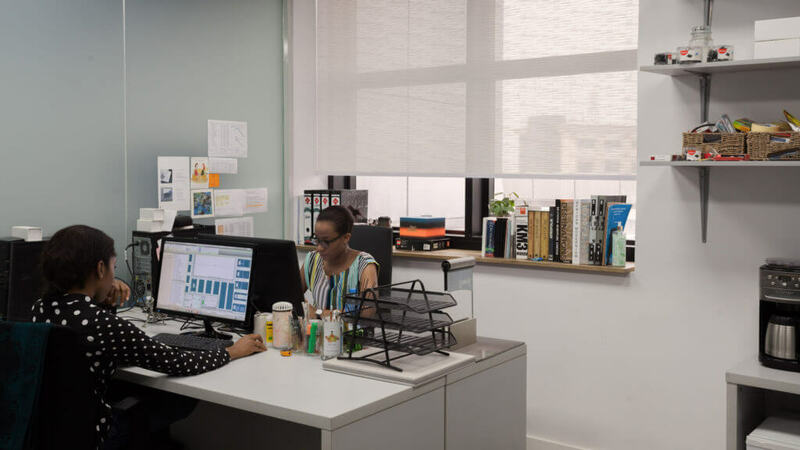 I don’t know about Fashion Designers and artists, but as an architect, you need to be very structured, because you work in a business focused environment. You are not supposed to be disorganized. My profession is one that deals with very large amounts of money. You have to be creative, but you need to understand the importance of business, and time and money relating to time. You can’t afford to be an architect and not be organized because it has to do with trust. Nobody wants to trust with a billion Naira project when you are not organized and disappear for two because you want to be ‘creative’. You have to have your head tied down. So, we marry both worlds, pushing the boundaries of design and being responsible enough to deliver your projects on time. I have a to-do list and I use it every day. In fact, if I don’t write down my to-dos I forget a lot of things. I’m more organized and quick to make decisions when I have a to-do list. I think everyone needs to be structured even artists. You don’t help yourself. Nobody wants to deal with someone who is erratic. Tell us 3 of your favourite buildings in the world. 1) I really like the CCTV building in Beijing, China. It’s a really nice building because it shouldn’t be standing. It’s a cube-like structure with a hole in the middle, so it’s twisted. When it was designed, structurally they had a lot of challenges. There are a lot of Cantilevers in this building and it only works because they were able to build it in steel. And it’s a testimony that anything possible if you put your mind to it. 3) The Peckham library. It’s by Will Alsop. What I really like about it, is that it’s such a playful building, but also very beautiful. I love buildings that are massive and have extrusions. How I’ve grown as a designer has come from these kinds of influences. Give us a few architectural resources/websites that women starting out in the career should know and bask in. Like I said, it’s very important that we do not limit ourselves by gender. I didn’t grow up conscious of gender. So, I don’t have gender specific websites. But, there are some websites I go to every day. Dezeen.com – I like this website because it’s about design; product design, interior design, architecture. So, it covers my areas of interest. Designboom.com – It’s about the creative industry at large. DesignIndaba.com – It’s South African and really good. There’s also a Nigerian one that I love, LivinSpaces.net. What I love about this one is that it’s a Nigerian architect that set up this website and he pulls strong work locally and internationally. So, people can also see how the international designs can suit/fit into what’s actually being done in Nigeria.